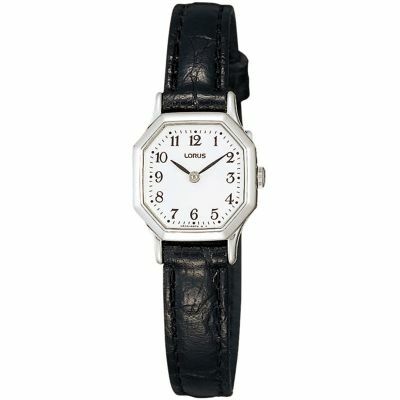 Excellent quality watch, exactly as described and super quick delivery. Thanks very much Watch Shop. Will definitely be a returning customer. The watch is as expected. Very elegant and reasonably priced. My girlfriend is very happy with it. A lovely little watch, exactly what I wanted. Watch case a very nice shape & colour. Black leather strap ideal for me to handle, as having MS, I am able to do the buckle up. I bought this for my wife who has a quite slim wrist, so doesnt want anything too big, but is often without her reading glasses, so needs something big enough and clear to see easily. She also has a habit of misplacing things, so I did not want to spend too much money. This watch ticked all the right boxes: very reasonably priced, stylish and not too big, but with a white face and clear, good sized numerals. She is delighted with it. Perhaps I should get a couple more, because shes going to be very upset when she loses this one. The prodcut was exactly how I expected it to be, no different to the picture online, which was great! I bought this watch for myself. I especially like the shape. 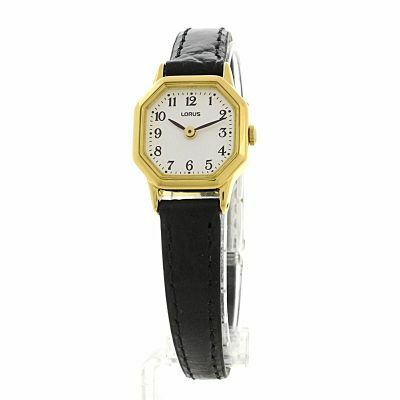 A lovely little watch at a great price. A marvellous Christmas present for my wife. The package was received in bags of time before Christmas and the communication from WatchShop was very thoughtful. Many thanks.